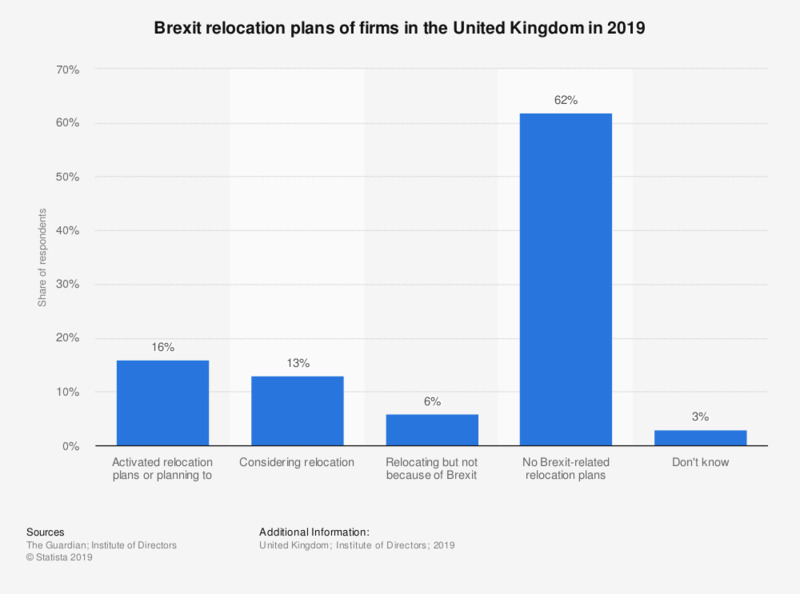 This statistic presents the results of a survey of British businesses, which asked if they had any relocation plans in place for Brexit, in 2019. Of respondents, 29 percent were either considering relocation, or were planning to due to Brexit. Over half of business said that they had no Brexit-related relocation plans.